I was really looking forward to reading this as I loved Starcrossed. And as hard as it may seem to believe, I think this may have topped Starcrossed. Except for one thing, the love triangle. This really upset me. I really, really like Lucas. And then we were introduced to another great guy, Orion. He is sent by Daphne to help Helen out in the Underworld. Helen is the only scion who can descend at will. So it is up to her to find the furies and kill them to free all the scions that are suffering and living as outcasts because of blood debts caused by their ancestors. Especially Hector. Helen is literally going to hell every night when she sleeps. She’s no longer dreaming, and it is slowly killing her. On top of that, she is still dealing with learning that Lucas is her cousin and trying to get over him. They are trying to stay away from each other, but this just seems to be making things worse. I’m still rooting for Lucas but I can’t tell which way this is going to go and I’m half afraid to read the next book. There is a lot going on in this book. 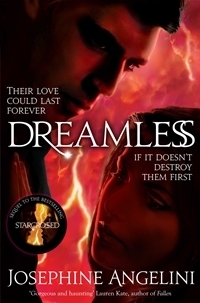 It is fast paced and action packed. The world building around the underworld is done really well. We learn more about the greek history, different gods and the different houses. I feel I will need a re-read of this before I start on the third book. But when that time comes, I know I’ll look forward to it because I enjoyed it so much. Helen grows as a character so much in this book. We get to see how strong she really is, and not just powerful, but also strength of mind. Lucas also discovers some new powers, and not all is good. Another character that gets an overhaul here is Matt. He feels weak and helpless around the powerful scions so he trains and learns how to fight. Jason and Claire finally get it together and they are such a cute couple. The ending of this is quite dramatic and heart wrenching and I loved it. This book just reeled me in and kept me hanging until the very last word. I just didn’t want to stop reading it. And when I did have to stop reading, I couldn’t stop thinking about it and trying to get back to read it again. If you haven’t read Starcrossed yet, I would urge you to pick it up and give it a go. This is an awesome series. The covers! 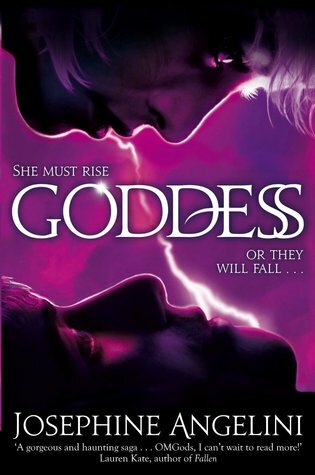 I far prefer the US cover to the UK, but I suspect the copy I have on order will be the UK cover. Thanks for the review. I eagerly await this book. When I read Starcrossed last year, I was planning on DNF'ing it because it was just so slooow. I stuck with it though and ended up really enjoying it. 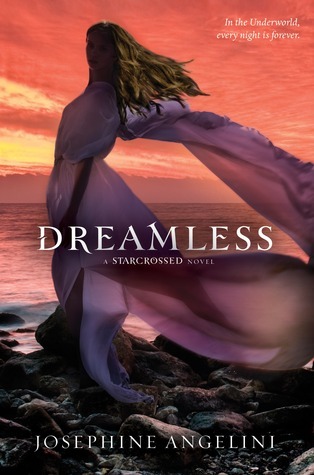 I haven't read Dreamless yet, Suzanne, but I'm looking forward to it since you thought it was even better than Starcrossed. I'm especially curious about the ending.